Welcome to Hilarious Harry’s THIS WEEK IN SPORTS! Thanks for taking the time to find the column and welcome to the NEW Marvelous Mike & Friends website. Boy it feels so good to be back! At this column, you will find regular weekly updates (schedule willing) in the wide world of sports with the trademark Minto Inc brand of humor that you know and love. Without further ado, let’s look at this past week in sports! Jim Caldwell was issued the pink slip after three years of service in Indianapolis. Without Payton Manning, Indy crumbled to a 2-14 season. Caldwell finished with a 26-22 overall record and many believe he was a victim of a massive house-cleaning effort in the Colt Corral. Will Manning be next? The field for replacements for Caldwell is very thin. Especially with Jeff Fisher signing with the St. Louis Rams this week. Fisher, former head coach of the Tennessee Titans, has a record of 147-126 as a head coach. He will join a rebuilding Rams team, with the young Sam Bradford under center. 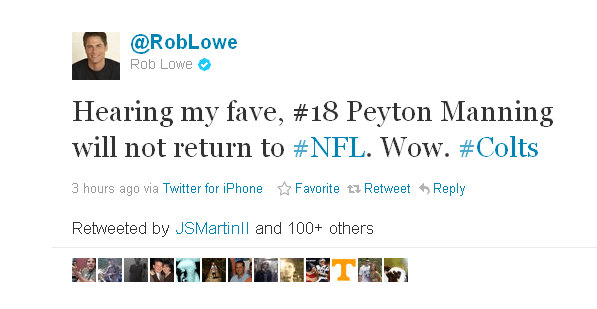 Rob Lowe proved to the world that athletes are not sports journalists as he sparked a media frenzy after posting on twitter that “his people” told him that Payton Manning was retiring. Many other outlets took Lowe’s statement as truth and reported news of the retirement without waiting for a response from Manning’s camp. Archie Manning denied the rumor, and put the idea to rest for now. Lowe has since been plugging his paperback book on his twitter feed, so the entire rumor smells of a publicity stunt to this correspondent. 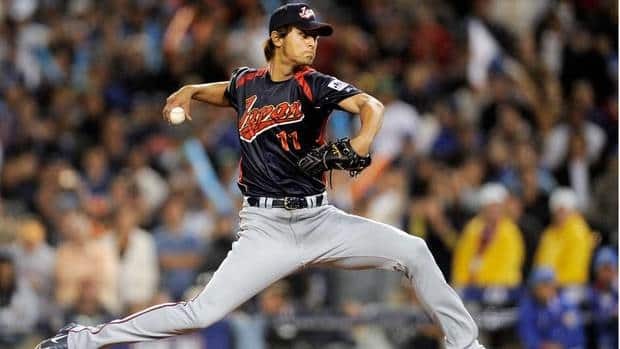 Moving to baseball, the Texas Rangers signed 26-year old Yu Darvish, who many believe is the best professional pitcher in Japan. In his seven years playing professional ball, Darvish posted a 93–38 record, with a 1.99 ERA and 1259 strikeouts. The Rangers bid a record-setting $51.7 million to negotiate with the young pitcher, and signed him on a $60 million dollar contract – for a combined total of $111.7 million. Our alma mater – Wagner College – and their mens’ basketball team will be on ESPNU this Saturday at 7pm. The Seahawks (6-1 Conf.) face-off against conference leader LIU Brooklyn (7-0). That’s this week in sports! Until next time: I’m outttttta here!